As part of its long-term development plan, Reepham High School & College has revealed proposals to update its sports and leisure facilities. Since achieving academy status in October 2012, RHSC has sought to improve its current sports hall and gym, which are now considered outdated and too small for the growing student population. With an estimated cost for the building work of £2 million, the new facilities being proposed include a “four court” sports hall that will be large enough for cricket nets, a weights room, a climbing wall, changing facilities and a viewing platform for spectators. The school’s proposals follow the closure in December 2012 of the leisure club at the Old Brewery House Hotel in Reepham, which included an indoor swimming pool, gym, squash courts and sauna. Mr Collins said the school is planning to apply for a government academy maintenance grant in September. 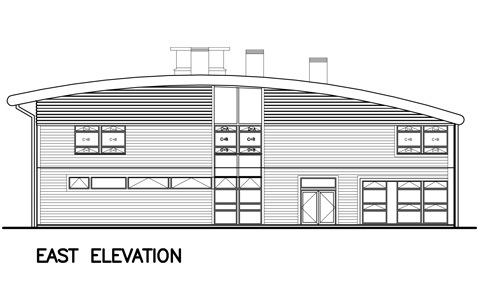 If the funding is awarded, the new sports hall could be built within 18 months of a successful application. Based on preliminary plans already drawn up by Reepham-based Teather + Walls Architects, the 690-square-metre building would be sited to the southwest of the existing College and partially hidden from the road. RHSC also intends to open the facilities to the public after school hours, as well as over the weekend and during school holidays. If the plans are approved and building goes ahead, there is a further proposal to turn the current sports hall into a dramatic arts centre, which could include a drama studio and workshop facilities that might also be available for use by community groups. While donations from the public or any generous benefactors are always welcome, RHSC will be particularly seeking moral support from the community, especially during the lengthy planning application process.